There are many composers I like best, among them Mozart, Vivaldi and Debussy, but Chopin is by far the composer I feel closer to, for musical sensibility and artistic expression. I loved studying and playing his compositions and I enjoy listening to my collection of his creations interpreted by many great pianists, from Martha Argerich to Arthur Rubinstein, from Maurizio Pollini to Ivo Pogorelich. Piano solo Nocturnes and Preludes are surely amongst my most favourites but I also love his concerts and chamber music. Apart from his unique contribution to music, it is also intriguing to immerse in the world that surrounded Chopin during his life in Paris and his relationships with other artists and intellectuals of his time, from George Sand to Delacroix and Liszt. Particular of a Mozart family portrait with a young Wolfgang Amadeus playing with his sister. This portrait by Johan Nepomuk della Croce is one of the few actually realised during Mozart’s life and may portray a realistic resemblance of Wolfgang as a young man in his early 20s in 1780. An anonymous portrait mostly associated with Antonio Vivaldi, the Red Priest, here depicted wearing scarlet red clothes. 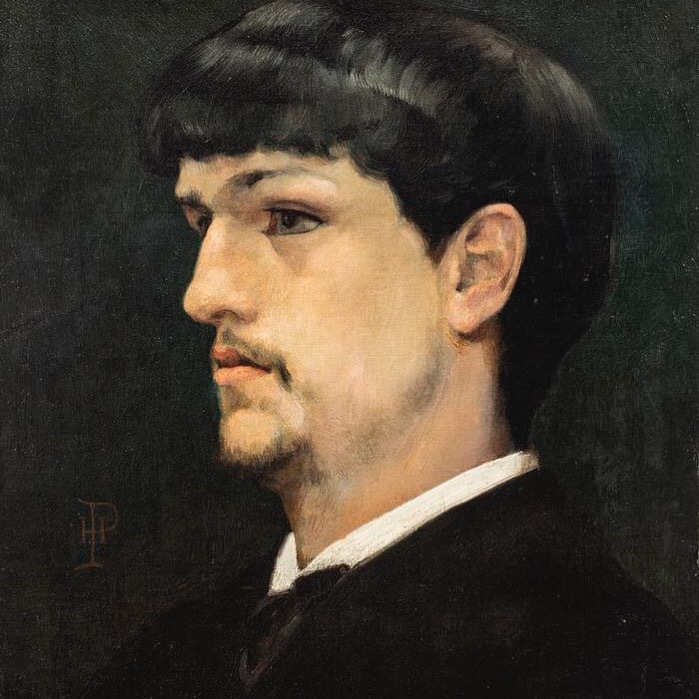 In 1884 a young Claude Debussy won the prestigious Prix de Rome, which entailed a residence at Villa Medici in Rome, where this portrait was painted and is currently exhibited.